An artist without his tools is but a myth. And Dr. Vatsal Parikh is the kind of man who wouldn't think twice before getting the best equipments available for the benefit of his patients. Here's a list of equipments that make this artists obsession with mastery and his tools quite clear. 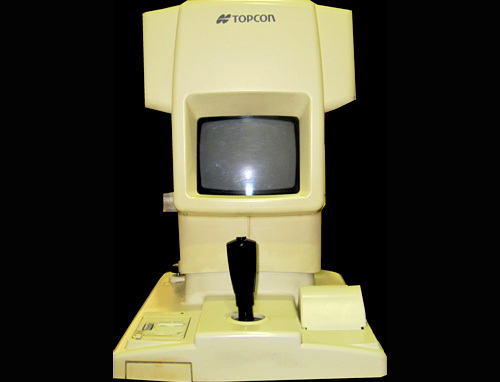 This is the state of the art slit lamp with the latest digital photographic facility and archiving soft ware with flash unit FD 21 . It is very useful for educating patients and their relatives and fellow eye doctors. 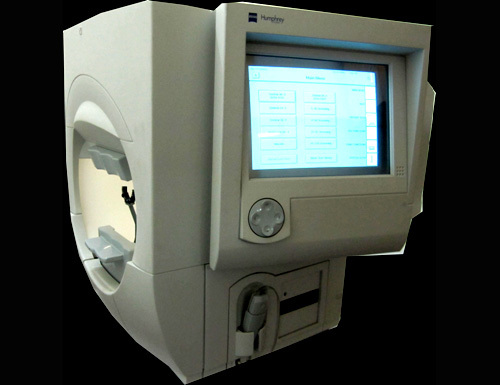 This is the latest in the OCT machines in the market with 3 D imaging.This landmark instrument from Zeiss, the German company revolutionized the way we look at retina by means of diode laser and interference method and gives cross section of the retina which was not possible till day. This has given treatment for many conditions which were not treatable earlier and has allowed the best monitoring of the treatment results. Oertli, is a Swiss company known for precision and excellent foresight. 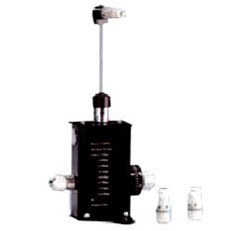 This phako emulsification is one of the best in performance and technology with all the latest features of small incision phako emulsification and fragmentation. Iridis , a German company is pioneer in diode and double frequency green laser . 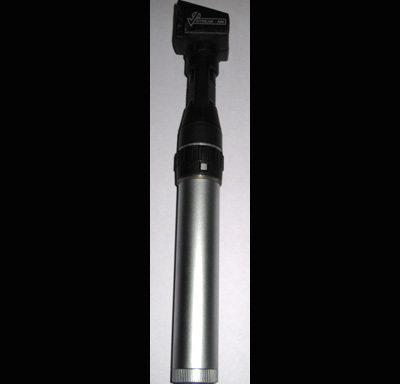 This instrument is must for treatment of various retinal disorders including diabetes mellitus. 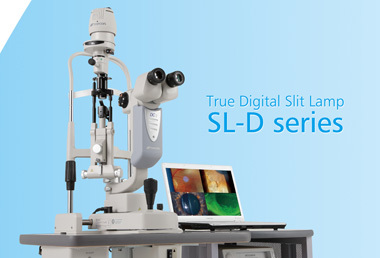 Slit lamp delivery system gives the accuracy of laser treatment when it is performed at macula, the most important structure for clarity of vision. Whereas indirect delivery system is the fastest for treating retina in general for lasers. 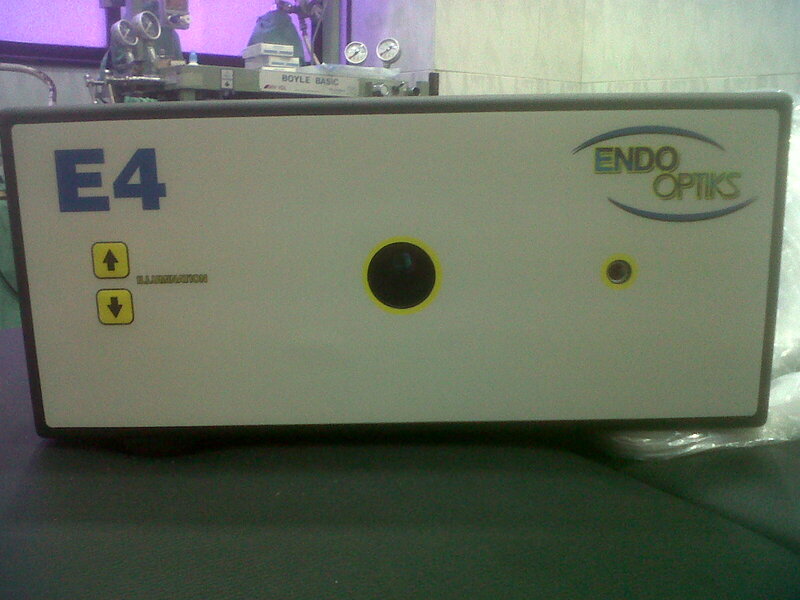 Endodelivery system enables one to do laser during complex vitreoretinal surgeries. This kinetic perimeter from German company is one of the world trend setter and is used for glaucoma and various other neuroophthalmic disorders. 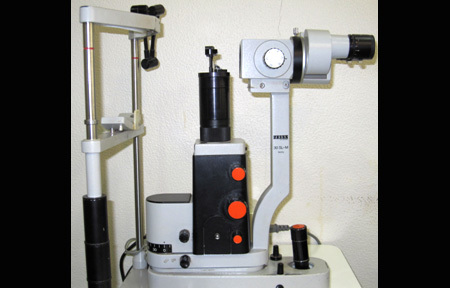 This is the best slit lamp microscope from the world renowned Haag Streit, Swiss Company used for detailed examination of the front structures of the eye; and with the use of special lenses it allows the examination of the vitreous and retina in the minutest detail. 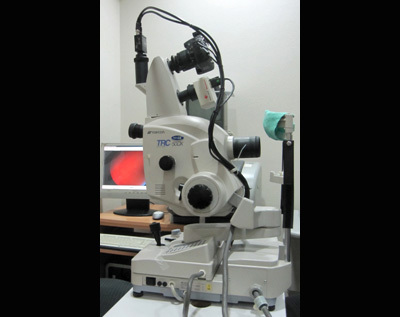 This instrument, a Japanese make allows fast and near accurate assessment of the refractive power (spectacle glass number) of the patient's eye. It saves considerable time when compared with retinoscopy; an age old technique for refraction. 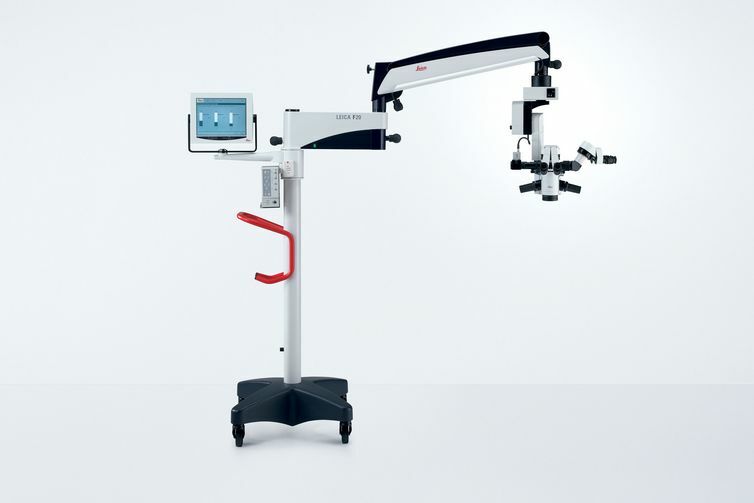 This simple device from Chinese company provides medical grade xenon light souce, the brightest today for retinal surgery. 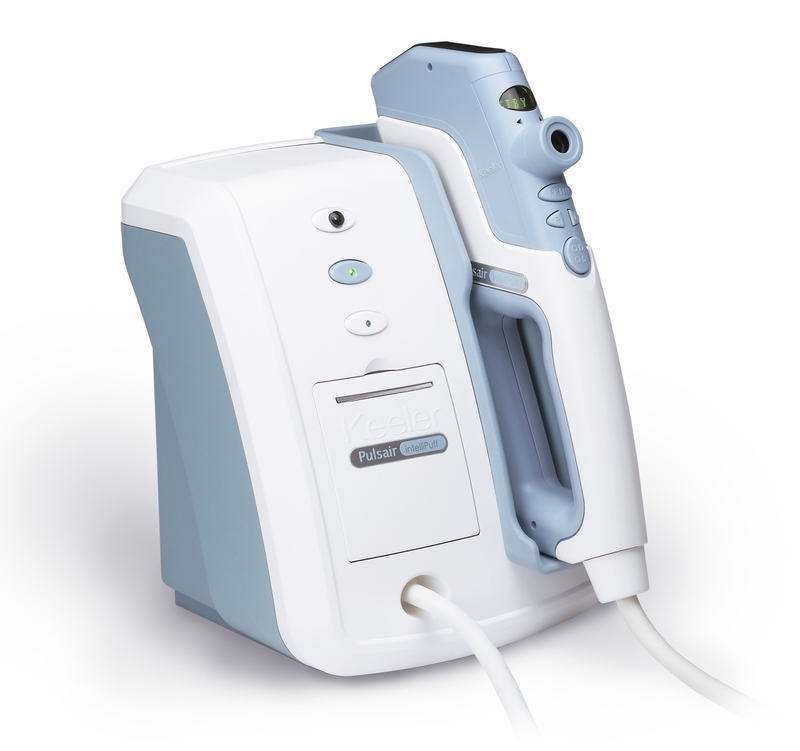 Storz is a trusted name in ophthalmic ultrasonic biometer and quantel; very reputed name for immersion biometry; a must test for any patient undergoing cataract surgery. It allows the most accurate measurement of the length of the eyeball and hence power calculation of the lens to be fitted in the eye. 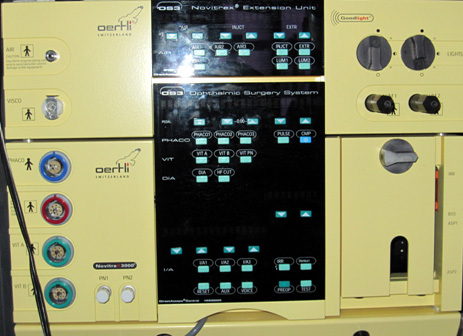 There are many instruments used in eye operation which cannot be steam sterilized and needs to be gas sterilized. Eye is an important structure where one has to prevent infection at any cost or the vision may be permanently lost. 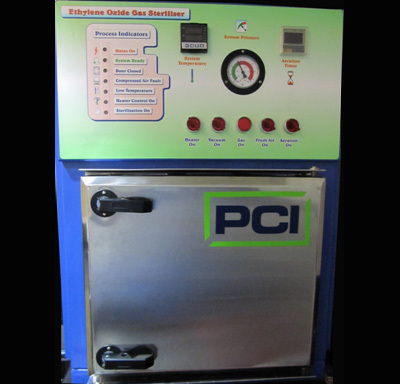 PCI is a reputed Indian company which makes this sterilizer. 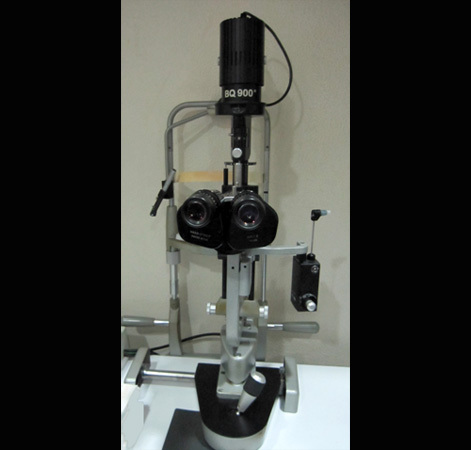 This is a motorized chair examination unit made by an Ahmedabad based company which has slit lamp and ophthalmoscope mounted on it along with the vision chart. 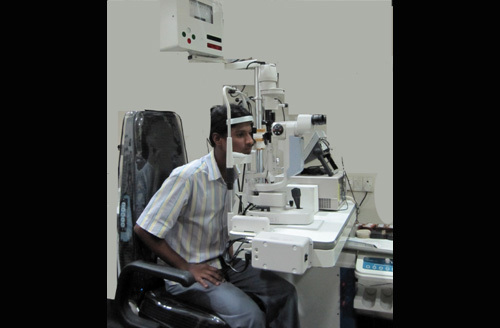 The beauty of this unit is that the patient does not have to move from one chair to another for the basic eye examination. 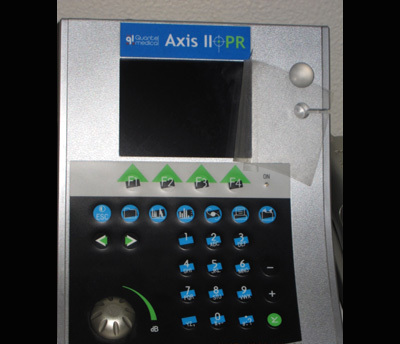 So, this is the patient friendly instrument.